Bradt Zambia is quite simply the best guide to this land of deep rivers, open plains and rift valley reserves. We rely on Bradt guides, and so should you! Quick Facts: ⊙Detailed coverage of National Parks; ⊙Wildlife species identification plus details of flora and fauna highlights on a regional basis; ⊙Comprehensive listing provide a mine of information on individual lodges and camps; ⊙Adventure activities such as white-water rafting and canoeing on the Zambezi and microlighting above Victoria Falls; ⊙People and culture, including festivals, dancing and crafts. Zambia is one of the best destinations in Africa for walking safaris, river safaris, hot springs and waterfalls, yet it is little explored by travellers. 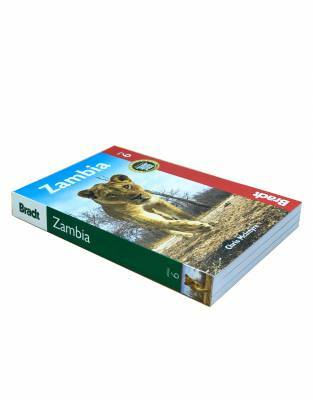 The fourth edition of Zambia covers all the prime attractions and much more, including all national parks from the Lower Zambezi and Kafue to the famous Luangwa Park, host to several unique species and the top place for leopard-spotting. Advice for the independent traveller encompasses everything from choosing first-class bush camps, lodges and hotels to organising memorable safaris. 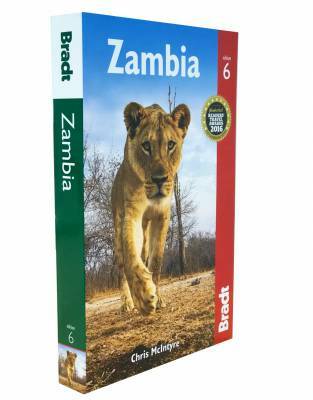 We really do rely heavily on Bradt guides for planning our own travels to Africa. Bradt guides contain lots of indepth information for the traveller, whether you are going to Africa on a luxury tailormade holiday, or backpacking. GPS coordinates have been a god send for our expeditions into the wildest areas of Africa. What really sets the Bradt guides apart is the fact that the authors have a vested interest in ensuring that each guide is the quintessential, comprehensive, authoritative, up-to-date source of travel information for you. Many of the authors have been editing and updating their guide book for years on end, and the books are an evolving labour of love.